Old Cy Young was on the verge of history as he stood on the mound and peered in at the batter. The large weekday crowd of 10,000 at the Huntington Avenue Grounds was hushed, waiting to see if the impossible could happen. They had been drawn to a matchup between the American League’s two best pitchers and the last two American League champions, and they had not been disappointed. Through eight full innings not one of the visiting Athletics had reached first base. The Philadelphia Athletics won the 1902 pennant and the eccentric left-hander Rube Waddell was their ace. 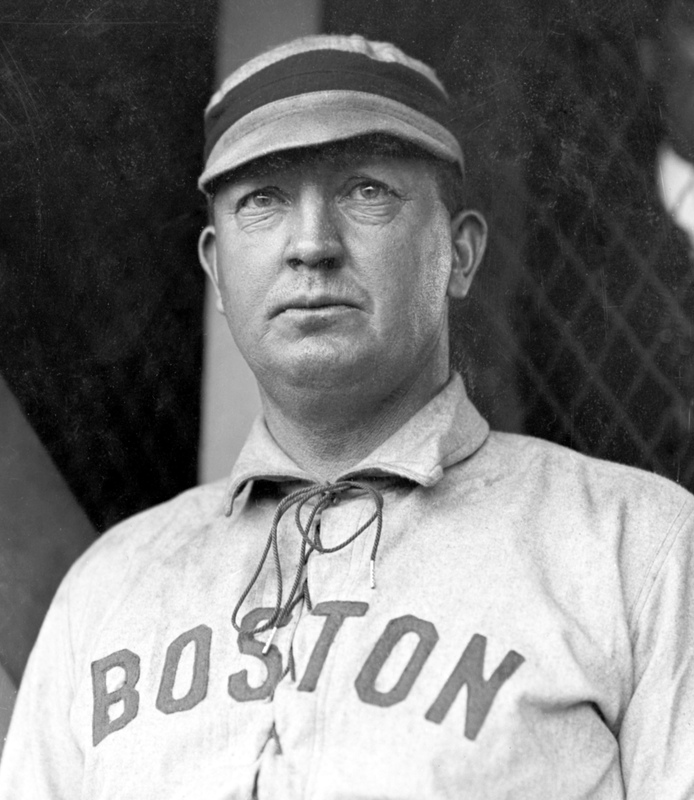 Waddell threw hard and wild and in 1904 would set a modern single-season strikeout record that stood until it was broken by Sandy Koufax in 1965. He had defeated Young earlier in the week with a 3-0 shutout and looked to do so again. For their part, the Boston Americans were known by the press as the “Champions” by dint of their 1903 pennant and subsequent defeat of National League champion Pittsburgh in a postseason series. The Americans had broken quickly from the gate and possessed a 12-3 record on the morning of Thursday, May 5. The Athletics were tied for third in the standings and were already four games back in the early season. They had taken the first of the four-game set behind Waddell, but then had dropped the next two and needed the series finale to break even and avoid losing ground in the race. Young, however, had other ideas. He was 37 years old and still going strong, having posted over 90 victories since jumping to Boston at the start of the 1901 season. The moniker “Cy” was allegedly short for “Cyclone” and the right-hander could still throw hard with great control despite his substantial girth. The 27-year-old Waddell may have had more speed in his youth, but he did not possess the accuracy of his older counterpart. The game itself was a taut affair with the Americans hitting Waddell but not able to score and the Athletics not hitting Young at all. Boston led off the first two innings with doubles from Jimmy Collins and Freddy Parent respectively, but neither could be brought home by their teammates. The Americans also got the first two men on base in the fourth inning, but Waddell again held the line. Meanwhile, Young was throwing easily and never really was in trouble. Perhaps the toughest chance came in the third when light-hitting Philadelphia shortstop Monte Cross lofted a soft fly ball over the infield. Right fielder Buck Freeman came charging in and made the catch. In the seventh Ollie Pickering hit a slow roller to Freddie Parent at short and was nipped at first. Otherwise, the Athletics came to the plate and went back to the bench in a routine manner. Big Rube’s luck finally ran out in the bottom of the sixth. The Americans’ Chick Stahl crushed a ball that traveled over right fielder Socks Seybold’s head for a triple. He scored when Buck Freeman followed with a shot to the same area with the same result. The bleeding was temporarily stanched when left fielder Danny Hoffman gunned down Freeman at the plate for an inning-ending double play. The Athletics went down in order again in the seventh and then the Americans struck again. Hobe Ferris tripled off Waddell and Young’s personal catcher, Lou Criger, doubled. Cy then dropped down a bunt that was fielded cleanly by Monte Cross, but Cross’s throw was muffed by first baseman Harry Davis. Criger scored on the error and the Americans led 3-0, leaving the game effectively over except for its place in history. Young stood the on the mound in the top of the ninth and peered in at Criger for the sign. Monte Cross stood in the box and a duel began. The mustachioed shortstop fouled off several pitches until Young gave him the coup de grace, the big pitcher’s ninth strikeout. Catcher Ossee Schreckengost came up next and grounded to Parent. That left the 27th man to come to the plate for Philadelphia that day. Rube Waddell was not much of a hitter but this was the Deadball Era and manager Connie Mack let him bat. He took ball one and the tension was palpable. He took ball two and the grounds were silent with dread. Young’s third pitch was over the plate and Waddell swung and lofted and easy fly to center that Stahl pocketed. Then the tension broke and the crowd roared and surged onto the field. As Old Cy made his way toward the Americans’ bench, fans surrounded and congratulated him. One enthusiastic krank pressed money upon him and the wily pitcher folded up the bill and put it in his pocket. All across Boston the talk was of the greatest game ever pitched, a perfect game –no enemy player reached first base. After the contest, the two teams’ fortunes would diverge as the Athletics faded to fifth place while the Americans survived a harrowing pennant race to win another championship. Cy Young finished the season with a 26-16 record and a 1.97 ERA, but he would never be perfect again. The author believes this game is significant because it was the first modern perfect game, i.e., the first one pitched at a distance of 60 feet 6 inches. Another way of saying it is that this was the first perfect game of the modern era. There are several points made about the game under “Cy Young’s Perfect Game” on Wikipedia, which in turn refers to source documents giving more data on the game including a Young quote. “Greatest Game Ever,” Boston Globe, May 6, 1904: 1. “Cy Young Does Not Let One of the Athletics Reach First,” Philadelphia Inquirer, May 6, 1904: 10. All statistics are from baseball-reference.com.